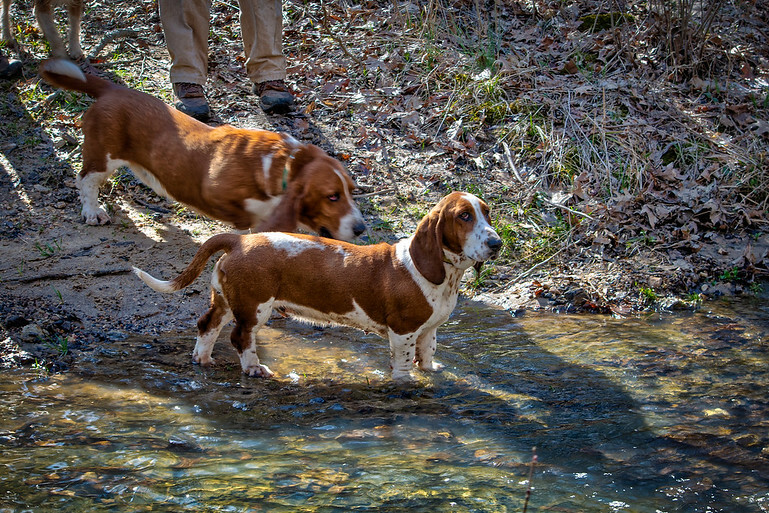 Basseting in Grubville, MO with 6 Couples (12 Basset Hounds). A local family loaned us their farm for the afternoon allowing us to hunt through the open fields, creeks and woods. The hounds spent two and a half hours in the fields before returning to the farmhouse for an early dinner before driving back to St. Louis.